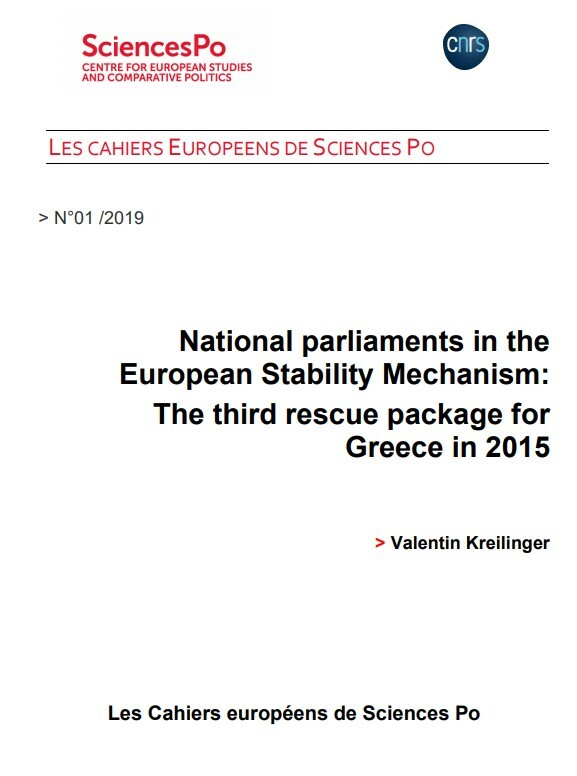 The emergency regime of the European Stability Mechanism (ESM) affects the budgetary powers of national parliaments in the Euro area. But under what conditions do national parliaments get a substantial say on ESM rescue packages? 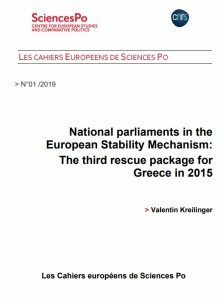 This paper examines how national parliaments are involved in practice by examining the various possible drivers for substantial parliamentary involvement in the context of the negotiations on the third rescue package for Greece in 2015. Only few national parliaments can rely on direct legal enabling clauses for substantial parliamentary involvement. In other national parliaments, domestic political dynamics are the key explanatory factor. The paper concludes that this tangled web of parliamentary involvement in ESM affairs will remain a prominent feature of Europe’s post-crisis economic governance.